Tips for Studying for the CPA Exam After Being Out of School: It's Possible! No matter how long it has been since your graduation, studying for the CPA Exam out of school can be intimidating. 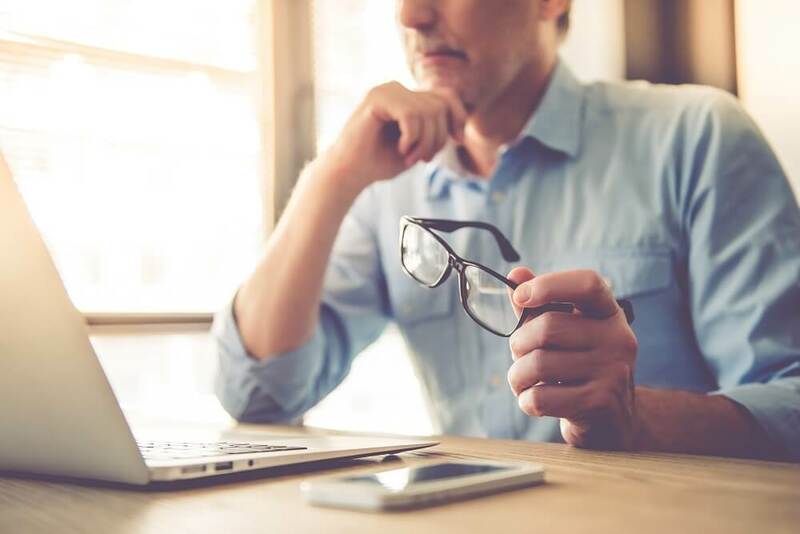 Whether you work in the accounting field or you’ve been working in another capacity since graduating from college, the sheer amount of information you have to learn and apply can seem daunting. Also, with age comes a change in priorities and obligations; the idea of studying for the CPA Exam can seem even more impossible when you’re working full time or have a larger family. But while studying for the CPA Exam out of school may seem scary, it’s definitely possible. With the right motivation, the right study materials and a little planning, you can pass each section of the exam on your first try! If you’ve been working in the accounting field since you left college, you’re going to be well prepared for the basics of the CPA Exam. Industry accountants will have a fair amount of experience dealing with concepts in the FAR section of the CPA Exam. Those working in public accounting, depending on their field, will know many of the concepts presented in REG or AUD. Even if you’ve been working in finance or business operations, you have a leg up since many of these concepts are tested on BEC. Being a few years out of college has probably helped you home in on your life goals as well. While it’s difficult for an 18 or even 21-year-old to know exactly what they want to do with the rest of their life, you’ve had a few years of experience to develop an idea of who you want to be and what you want to do. And if you’ve decided you want to get your CPA, you likely have more motivation to pass the exam than most. Work experience is also a requirement to become a CPA. If you’ve been working in an accounting capacity under a CPA, you’ll likely have met your experience requirements before you even sit for your first exam, depending on your state board of accountancy’s requirements. Once you have the necessary education (if you don’t have it already), you can apply for your CPA license right after you pass all four parts of the exam. And even if you have an accounting degree but you haven’t been working in the field, you still have a good chance of passing the CPA Exam. Many review courses start with the most basic concepts, and with a little refreshing and some dedicated study time, you’ll be up to speed and ready to sit for each CPA Exam section. The key to performing any difficult task is to develop the right motivation behind it. A fresh-out-of-college student’s motivation for passing the CPA Exam may be to make more money in the long run. There’s no doubt that sort of motivation factors into studying for the CPA Exam out of school, but many seasoned CPA candidates have other motivating factors for becoming a CPA. Maybe it’s to pass the exam to provide a better life for family. Or maybe it’s been a lifelong dream that you’re finally finding the time for. Maybe you’ve hit a roadblock at work and this is a way to advance your career or provide a fresh start. These are all great motivating factors. Take some time to decide what your motivation is, why you really want to start studying for the CPA Exam out of school. Then create a physical representation of that motivation and keep it close at hand. Take a picture of your family, cut out a job posting for your dream job, or tear out a photo of Hawaii from a travel magazine. Take that physical representation and post it where you study, or use it as a bookmark in your exam review materials so you’re always reminded of it as you get ready to study. If you’re years out of college and coming back to the exam for the first time, there’s a high chance you’ll be working while studying. Think of this as another easily surmounted roadblock in your path to becoming a CPA. The key is to find a CPA review course that helps you learn and retain information and study fewer hours. Adaptive learning technology has become more mainstream in the CPA Exam world; this type of technology helps candidates relate information as opposed to just memorizing it. Through adaptive learning technology, candidates can remember and recall information better than if they simply read through a book or employed traditional study methods. Surgent CPA Review’s technology is truly adaptive and is constantly learning from a candidate’s answers. As candidates go through the exam materials, the technology determines where a candidate is strong and where they need an extra boost of study. Over time, candidates become proficient in all areas and have a strong base going into the exam. Surgent also features ReadySCORE™, which alerts candidates as to when they are ready to sit for the CPA Exam. After going through multiple choice questions and task-based simulations, the ReadySCORE adjusts, helping candidates gauge when they’re ready to pass a specific section of the CPA Exam. This helps candidates feel more confident in their CPA Exam study since the ReadySCORE allows them to know when they’re confident with the concepts presented on their next CPA Exam section. There is no guessing and hoping going into the exam. With Surgent’s A.S.A.P. Technology™, candidates can feel confident going into each exam, even if they’ve been out of college for years and don’t have the same amount of time to study. Gone are the days of creating Excel spreadsheets highlighting study days and times. Now, study materials are built with technology that takes your exam date and study availability and combines them to create a highly individualized study schedule. Surgent’s technology has an interactive study planner, and on each study day candidates are presented with a Daily Surge, which helps them to retain and relate old and new information. Surgent’s A.S.A.P. Technology helps candidates pass the exam with fewer hours of study, which is great for anyone who has a tight study schedule. Lastly, candidates who have been out of school for several years and are coming back to the CPA Exam need to develop a strong support system. This means family, friends and work colleagues need to be aware and supportive of your goal to pass the CPA Exam. They need to know you’re on a tight schedule and you need all the support you can get to pass the exam. Once you combine your motivation, your planning and your CPA Exam prep course with a strong support system, there is no way you won’t be able to pass all four parts of the CPA Exam even if you’ve been out of school for a while. Just keep working hard and pushing forward, and soon you’ll be achieving your family and career goals by becoming a CPA. You can also use these 7 CPA Exam Study Tips While Working Full-Time to help you pass the exam on the first try.